People ask the most interesting questions about Alaska. We thought we’d satisfy some of your curiosity about the Last Frontier by answering a few favorites. 1. Is Alaska a State? As former governor and vice-presidential candidate Sarah Palin would say, “You betcha!” Alaska’s a state. 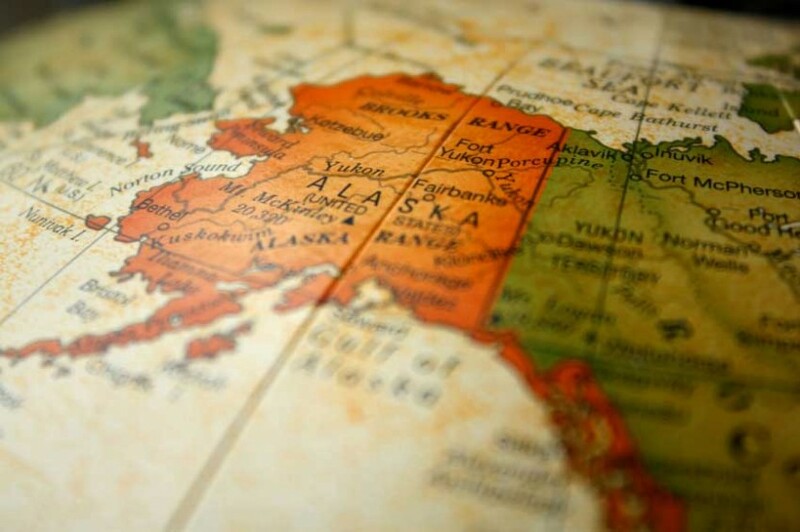 Alaska became the nation’s 49th state on January 3, 1959, eking out that numerical slot in a photo finish with Hawaii, which became a state on August 21 of the same year. The two latecomers to the statehood party share one thing in common: they do not border any other states. But hey, proximity does not necessarily equal legitimacy. The Alaska state quarter went into circulation in 2008 and features a grizzly emerging from a stream, salmon in tow. We call that 25 cents worth of cold, hard proof. 2. Is Alaska an Island? With over 44,000 miles of coastline and a hearty population of residents freely disobeying the “no man is an island” dictum, we wouldn’t exactly blame you for thinking that Alaska is somewhere out there, floating in the Pacific Ocean. However, this is not the case, and Alaska has been happily appended like a hitchhiking thumb to Canada for quite some time now. The arrangement appears to be working out. 3. Is Alaska a Good Place to Live? It sure is. Some even say its better hobbit territory than New Zealand. As the least densely populated state, Alaska is known as a haven for those seeking solitude in the outdoors, and what outdoors they are! At the same time, busier Anchorage, the Kenai Peninsula, and the world-famous National Parks have drawn many people to Alaska, and we’re pretty sure they’ll stick around. 4. What Time Zone is Alaska In? Alaska has its own time zone—appropriately dubbed the Alaska Time Zone. At this moment, the time in Alaska is one hour earlier than Pacific Time. If it’s 10:30 p.m. in Connecticut now, then it’s 6:30 p.m. in Alaska, and just about time for dinner. 5. When is the Best Time of Year to Visit Alaska? With a smaller time window for visitors than most states, Alaska tends to be flooded with reservations at its hotels, campgrounds, and tours during the summer months. Places to stay and entrance to some attractions are at a premium. Enter the shoulder season. Planning a visit in May or September ensures all the same beautiful weather, but with fewer tourists photo-bombing your perfect snapshot of Denali. 6. How Do I Get to Alaska? Substitute “boat” for the train in “planes, trains, and automobiles,” and you should be good to go! Alaska can be reached via a Princess cruise ship, which usually depart from Vancouver, B.C. and provide a rare chance to see Glacier Bay—an area so remote, it cannot be reached by road. After seeing the sights of the Gulf of Alaska, travel on land can be arranged, too. Road-trippers with extra time on their hands and no compunction about racking up mileage can set out on the Trail of ’48, a 1570 mile long highway that begins in British Columbia and kinda sorta dead ends 100 miles outside of Fairbanks (don’t worry, another highway can be picked up from there!). A 3 to 4 hour flight from Seattle to Anchorage or Fairbanks will set you up nicely, without the multi-day argument over who gets to choose the music on the car stereo. Lastly, the State of Alaska ferry system brings travelers from Bellingham, WA up through the inside passage, allowing for coastline views and stops at towns along the way. Just be sure you’ve planned your stop-overs ahead of time! 7. What’s the Weather in Alaska? We’re glad you asked. Contrary to myth and frightening Jack London stories involving dogsledders freezing in the Alaskan wilderness, Alaska is not truly the land of ice and snow. Temperatures range considerably from the coastal regions to the interior, and are often cooler and a bit rainier on the coasts. A typical day in July may be tee-shirt weather at noon and parka weather twelve hours later. Dressing in layers helps with preparation. Outside of the summer months, you might be surprised to hear that winters in southeast Alaska are milder than those in New England. Other areas do reach stunningly low temperatures, which is why few humans are around to experience them at that time of year. 8.What Currency Does Alaska Use? Your U.S. dollars are 100% legal tender in Alaska. 9. Who Puts On the Aurora Borealis Laser Light Show? Why, that would be the sun. Long known for its pyrotechnical prowess (see: sunburn), the famed Northern Lights are a naturally occurring phenomenon caused by solar radiation interacting with earth’s atmosphere. Sure, it’s a bummer that tickets cannot be bought or sold for the Northern Lights, and they seem to happen on their own unpublished schedule. And yet? Witnessing this event is awe-inspiring, each time. 10. What Should I Bring to Alaska? Bring your camera, your layers, your wallet, sturdy walking shoes, a rain coat, your lucky penny, and most of all, your sense of adventure. Alaska can take care of the rest. If you have more burning questions about Alaska, please ask them in the comments.